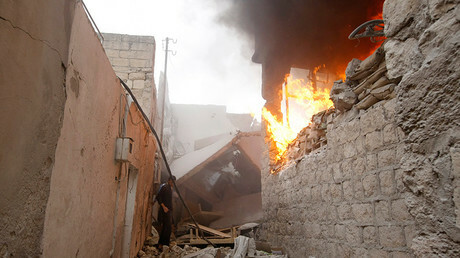 Attacks on civilian infrastructures and hospitals in northern Syria reportedly left some 50 people dead on Monday. While Turkey accused Russia of perpetrating a “war crime” on its border, a Syrian ambassador blamed the US-led coalition for the destruction. The UN Secretary General office said that close to 50 people were killed in attacks in northern Syria as the Syrian army engages jihadist militants in fierce battles across the Aleppo and Idlib provinces. “The secretary-general is deeply concerned by reports of missile attacks on at least five medical facilities and two schools in Aleppo and in Idlib, which killed close to 50 civilians, including children, and injuring many,” said UN spokesman Farhan Haq. 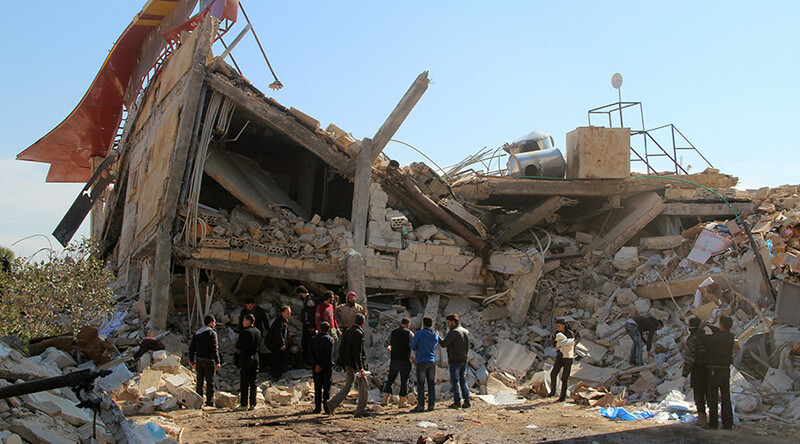 The obliteration of the 30-bed hospital in Ma’arat Al Numan comes as a major blow to the local population, as the facility treated around 1,500 people a month. It had 54 staff members and two operating theaters which performed around 140 operations a month. In addition the hospital had an outpatient department and an emergency room. While the French MSF president Mego Terzian was quick to pin the strikes on Russia and Syrian government forces, Russian Health Minister Veronika Skvortsova, as well as the Syrian ambassador to Russia refuted the unsubstantiated claims. “Concerning the hospital which was destroyed, in actual fact it was destroyed by the American Air Force. The Russian Air Force has nothing to do it with,” Ambassador Riad Haddad told Rossiya 24 television. The ambassador added that there is “intelligence information” that proves that the warplanes of the US coalition struck the hospital. Meanwhile Skvortsova stressed that Russian airplanes working in the area only target jihadist infrastructure. 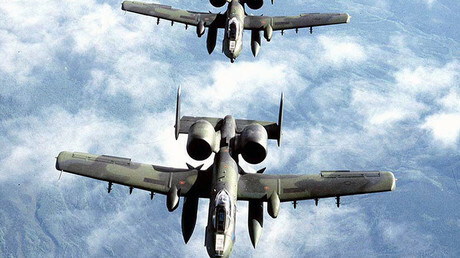 “We are confident that [there is] no way could it be done by our defense forces. This contradicts our ideology,” she said in Geneva. In the neighboring Aleppo province, attacks on one of the last jihadist strongholds near the Turkish border in the town of Azaz killed at least 14, when missiles hit a children hospital and a school sheltering refugees, Reuters reported. According to the head of the UN children agency, Anthony Lake, two strikes in total took place in the northern city of Azaz. Condemning the acts, Lake also noted that there are reports that two schools were attacked at Azaz during which at least six children were reportedly killed. While Ankara was quick to blame Russia, the strikes in Azaz come as Turkey continues its shelling of Kurdish YPG positions for the third day running, just 8 km (5 miles) from the border. Monday's attacks have been condemned by the international community, with the UN calling on war parties to reduce hostility ahead of the planned ceasefire in Syria. EU foreign policy chief Federica Mogherini said the destruction of medical facilities are “unacceptable” and urged “all parties [to respect] basic principles of humanitarian law”. US Secretary of State John Kerry and Russian Foreign Minister Sergey Lavrov announced the proposal for a cessation of hostilities following six hours of negotiations with 15 other member states belonging to the International Syria Support Group in Munich last Friday.